These two. I swear, it's a laugh a minute with them. It's even funnier that most of the time they don't even know they are being funny. It's funnier than that when they don't know we're listening to them. The following conversation was overheard in the kitchen, when they looked out the window and saw our neighbors' dogs outside one night after dinner. Her: Hey Brother! Come outside! Heidi and Zodie are outside and they're sniffing butts! Him: That's just how they say hello. * photo from a day trip to Eureka Springs 6/15. 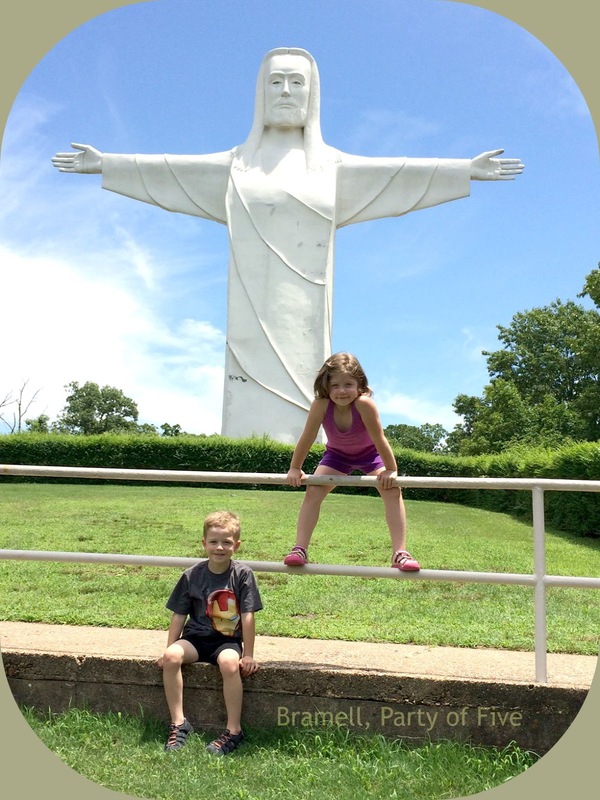 They were in awe of the "giant Jesus."